Whenever I'm traveling around by car in the Midwest I like to make sure I have a cooler in the back. 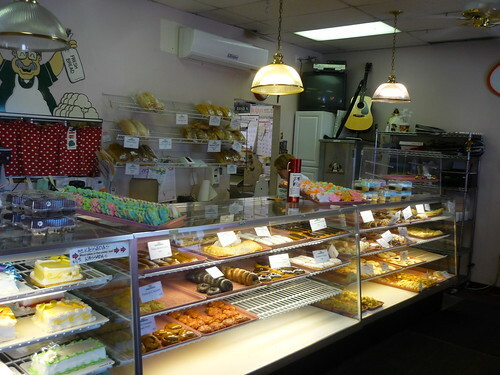 The reason for that is the fact that there tends to be some really great bakery's and butcher shops found in each and every region here in the Midwest. Most of them are old world practicing what they've been doing the same way the generations in their family before them have. Making sausage and pastries with old world recipes and selling freshly butchered meats and baked goods to their neighbors who in turn keep them in business. Its a concept that's gotten lost in the big city shuffle although slowly but surely the hip city's are making local butcher shops and baking places trendy again. Proving that most everything that goes out of style eventually comes back in. Look no further than the Harbor Country of Michigan where you can find examples of both in Drier's and not far from that, P&E Mullins Local. I have many places both old and new to share here and look forward to hearing what others have found and which places you enjoy while passing thru certain parts of the Midwest and those places around Chicagoland that are both fading fast yet some still remain in the game like Joseph's Finest Meats or new school players who are making noise from the get go like The Butcher & Larder. What are the specialties of the shop? What did you do with what you got? Were looking for spots like the classic stops that have been given deserved love here on LTH. Like GNR Ream's in Elburn and so on. 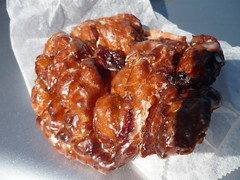 Seeing as how the 2012 Illinois State Fair is near I have one from down there to first share here. 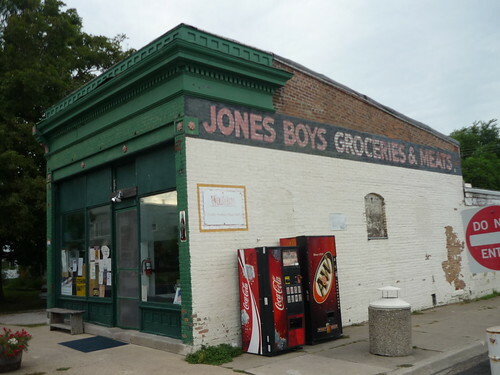 We stopped into Jones Boy last year after a day at the 2011 IL state fair. I forget where but there was a booth set up at the festival that was giving out samples of foods made from around that way. 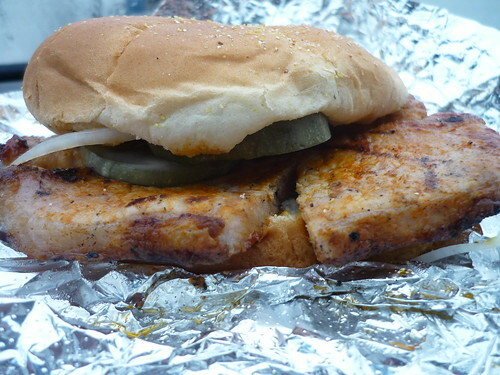 They had cut up chunks of brats for sample from Jones Boy and we really liked what we ate. They gave us a card and we took the 30 minute ride Northwest of Springfield. Another great stop which if your near there is worth the detour. This was as old school of a meat market as I can remember. 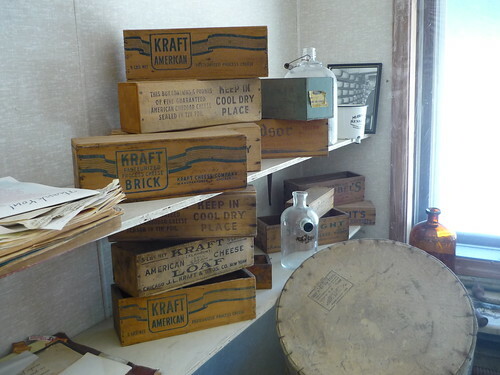 From the old meat lockers and wooden cutting boards seen below which by the looks have been around for a while. Jones Boy is run today by John Jones. He describes himself as " is a 4th generation business owner in Ashland, a 3rd generation market owner, 2nd generation meat cutter, and a 1st generation Brat/BBQ Rib Specialist" There's a nice article from the Illinois times circa 2008 HERE. It's the brats he makes that we ate which brought us here to his store. 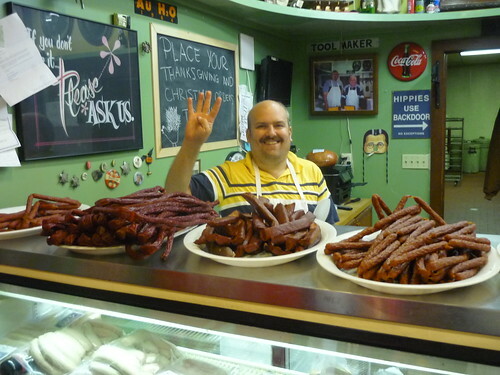 John makes many types of bratwurst including a cherry dipped brat, a prime rib steakhouse style and even an old world Swedish recipe with potatoes mixed in. But the star of the show and most popular brats here are his apple ones. I'm usually an original recipe guy when it comes to brats and tend to stay away from the ones stuffed with things or with different flavors meshed together but these were great. Its hard to declare one thing the best with so many options around. But these were some of the best non-original brats I have had. I recommend trying them if you ever see them. Maybe they'll be back at the State Fair this year. 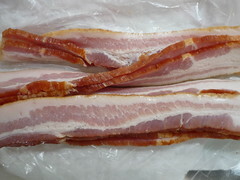 The bacon was also really good and those cutlets made for tasty breaded tenderloins. Stay tuned more to come. Last edited by Da Beef on April 7th, 2013, 7:56 am, edited 1 time in total. Nice post. Love to see more bakery posts. 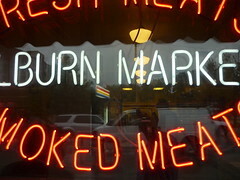 Small town meatmarkets are my thing, Ive got a bunch of em' out west covered, from the QC to Dekalb to Peoria to New Lennox, ill share as i revisit. 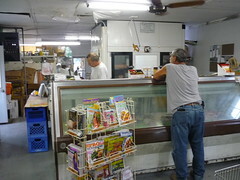 Returned to Country Village Meats out in Sublette, IL. today (about 10 mins north of Mendota for folks heading to the sweet corn festival). 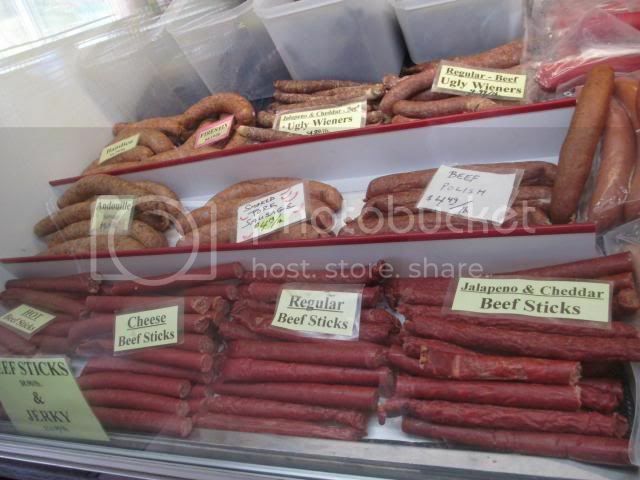 Grabbed some housemade brats, dogs & snack sticks, some ground chuck and some ny strips. BB ribs from a local farm looked fantastic. 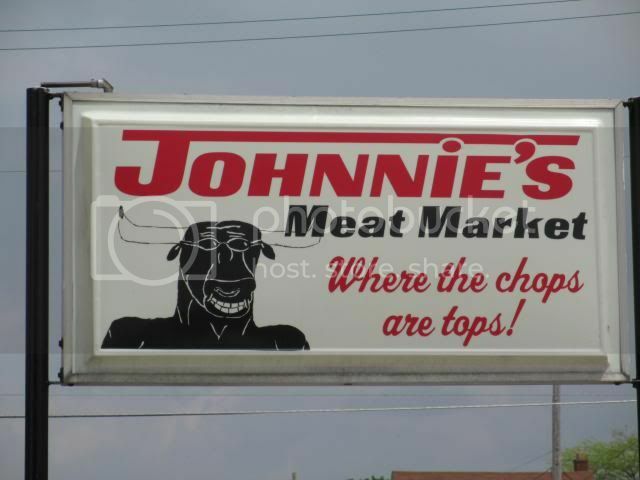 Whats special about this place is much of their meat comes from local farms for a fair price. Link to the thread i did on CVM last fall. Forgot all about this thread so thought I'd get it rolling with warm weather and summer fun to come. Checked my forever-filling food folder and found this place which I remember from a few years back. According to their website this family owned and operated business has been serving the people of DeKalb County for over 25 years. I remember not buying anything as far as meats to cook in my own backyard go and that's because they roll with the slogan "The Butcher that Cooks". Good burger, good chop. Like you'd get if your buddy was a butcher and hosting people over at his place of rest for food and drink. Timely, saved me from having to search for this thread. Illinois Route 24... at least the area I am getting to know from around Fairbury to Peoria, is a kind of hotbed for small town butches, farms, and meat lockers. Big name players and lots of small operations. Yesterday, I knew we were going to be already halfway to the Bloomington/Normal area after dropping the dead battery for the John Deere to get looked at. 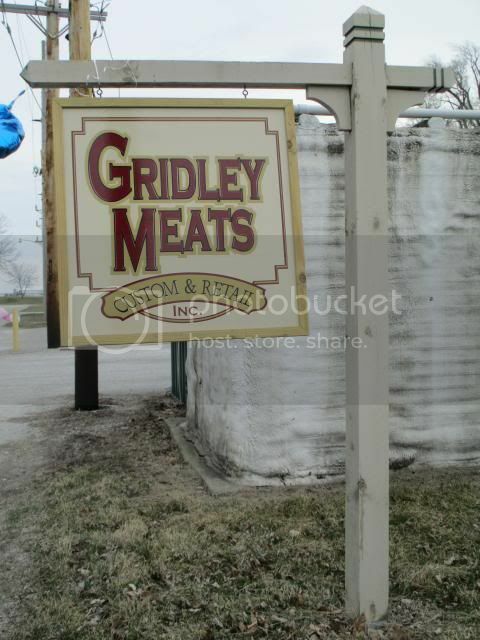 So we shot down I-39 and got to Gridley, IL. 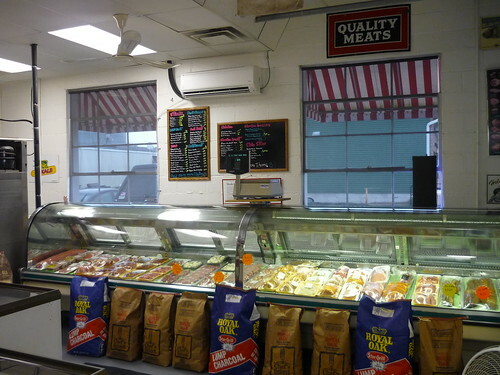 about 11:30, - Gridley Meats closes at 12:00, plenty of time to browse and chat. Smelled wood smoke as soon as I got out of the car, like most spots out here they are smoking their own bacon, etc. 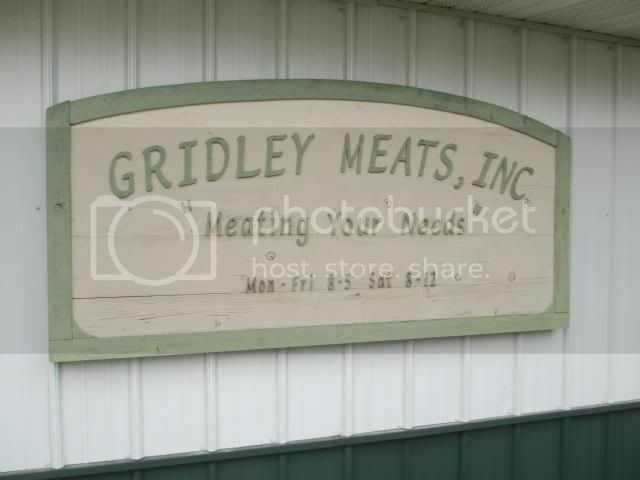 Gridleys processes & sells local pork and beef, they also process deer. 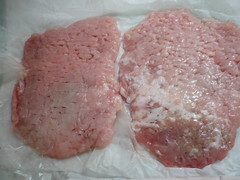 Glass fronted freezer cases house 1# chubs of pork sausage and ground pork. 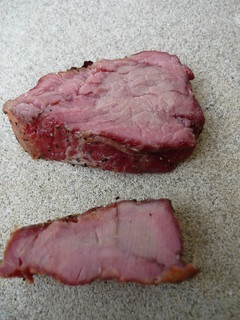 Other assorted cuts as well. snack sticks, something I have become fond of as in a glass cooler. Their Hawaiin sitck which I sampled was great. One of the guys working there advised me that if i didnt see anything they most likely had it in back. Later the a butcher came out and told me of pricing availability on 1/2 sides of beef and 1/2 pigs. All good. I grabbed up a bag of stuff, some of their made that day brats, a some ground pork, ground pork sausage, some pork chops, and a few varieties of snack sticks. Sack of stuff cost me about $22. Hitting the spot saves alot of coin. One thing I really liked about this place besides the friendly folks who worked there and the product they sold was that they accept the Illinois Link card. 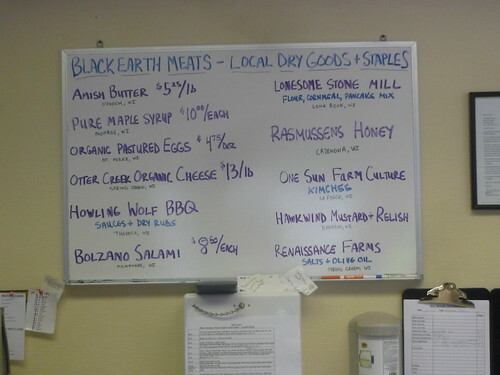 Great to see a place that supports local farmers making that product affordable and accessable to truly everyone. Kudos. When most folks think of the people who settled in Milwaukee, the city's German heritage comes first but the Italians were prevalent too. Both have big festivals there. Many Italians started settling in the area in the 1890's shortly after the German's. They came by the boatload so there wasn't just one area they settled in at but two. Bay View is where newcomers from Northern and Central Italy settled. Giocondo and Giorgina Groppi moved there and had 12 children all of whom worked at the family grocery store which was opened over a century ago. Today it's run by a former neighbor and longtime customer. At some point in the last decade the place underwent a renovation becoming a full fledged grocery store that anyone would love to live near. 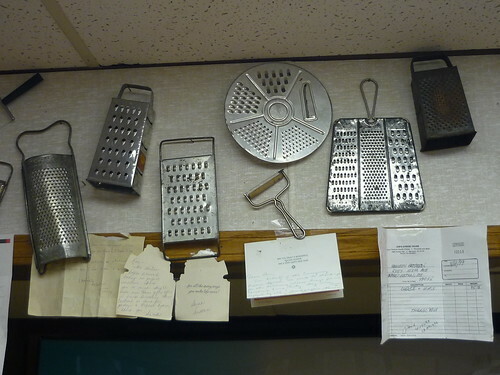 But they kept the old floors, bakery display cases and everything that made the place charming. All sorts of Italian products as well as a huge selection of wine and local micro brewed beers and artisan cheeses are offered. 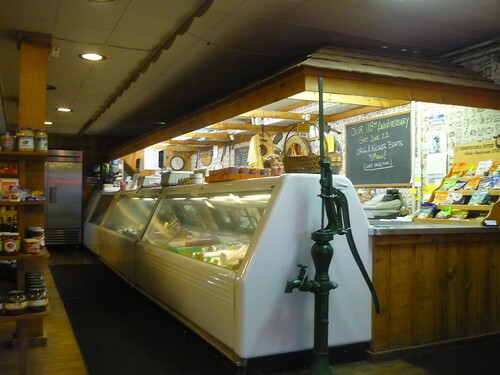 There's a hot and cold prepared foods case and the same selection of fresh meats and housemade sausages and baked goods that made them famous. Hell they have a bar inside where you can have drinks and watch the Brewers or take growlers to go. About the only thing they dont have anymore are the pigeon races outside. In the back behind the bar is where they sell their meats which I feel like most people are there for. They're paninni's are very popular for lunch but when I've stopped in most everyone goes to the back and gets in line at some point. 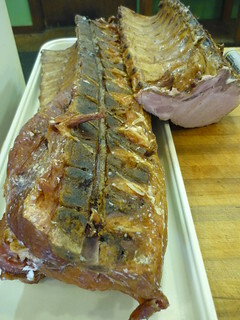 They offer some really nice options ranging from roasts to made in house sausage. 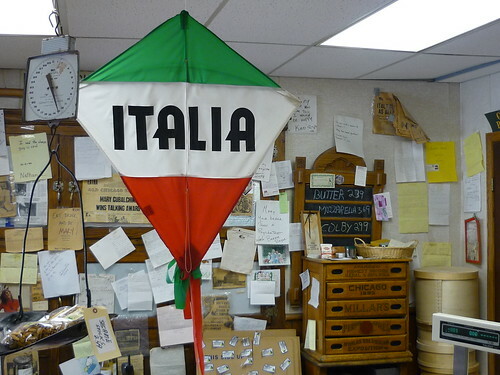 They do Italian, Sicilian style, Hungarian, brats, breakfast and some others I'm sure I'm forgetting. 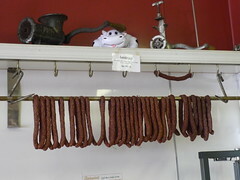 But the main draw for me is their Saltisa sausage. 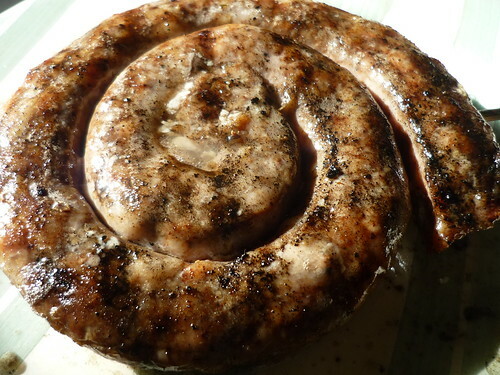 There's not much on this Italian style breakfast sausage on the internet except that it's found around Milwaukee and the Upper Peninsula of Michigan. It might be a recipe from some Italian settlers in North Carolina that made it's way to Milwaukee. 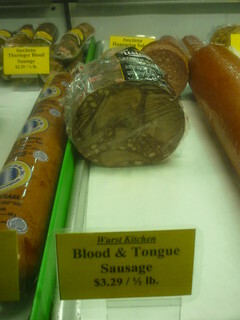 It's also mentioned that its a popular holiday sausage. It has tastes of cinnamon and nutmeg in it and takes on a very pleasant flavor mixed with the pork and the other secret spices used. I always grab some when stopping thru. You should too. 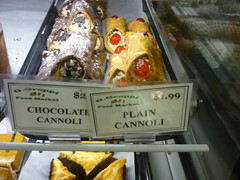 I remember a place I found one time, similar to that: a full-service neighborhood Italian deli+market . We came off the end of the Lake Parkway and, IIRC, continued west into Cudahay. Do you know any place out there answering to my description? I'd love to have a place like that in MY neighborhood! You mean *East* into Cudahy? Or West into Milwaukee? Groppi's is pretty wonderful. It's a half hour walk from home, I like to walk there on Sundays. Duh! Toward the Lake, *that* 'western' direction. Geo wrote: Great find, Beef! I cant say I know what you're talking about off the top of my head but will def keep an eye out. 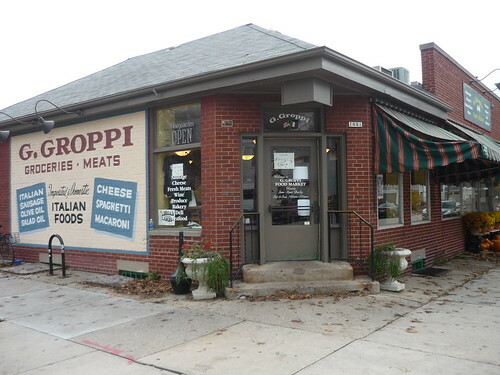 Groppi's is great we're lucky that the longtime family owned well run business' like it are abundant in this region. As long as we're already North up the lake in Wisconsin I might as well knock a few out located along the Circle Tour. 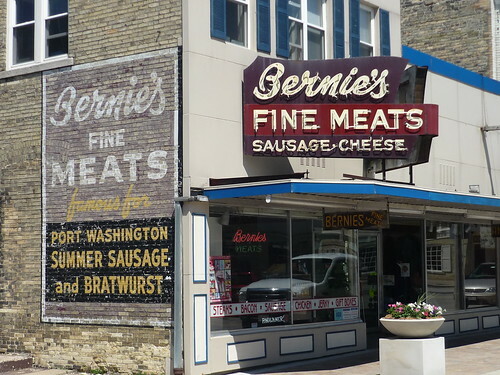 Bernie's is a longtime butcher shop just off the water in beautiful downtown Port Washington which is about 30 minutes up the lake from Milwaukee. Bernie Skeris opened up shop in 1941 at a time when there were more than a handful of local butchers and dozens of independent grocers in this area. It was his sausage recipes and his attitude that helped him outlast all the others. Bernie's encased meats were the choice of "the Lake Michigan freighters that docked in Port Washington and unloaded coal for the We Energies power plant". Bernie sold the shop in the 70's but still stuck around working for the apprentice he sold it too. That man then sold it a guy who was the son-in-law of the man who ran European Homemade Sausage in Milwaukee. So the current owner of Bernie's learned his craft there under his father-in-law. Today he mixes it up with some of Bernie's old world recipes as well as some of his own newly made creations. As is the case at these types of places, it all looks good...and I'm sure it is. 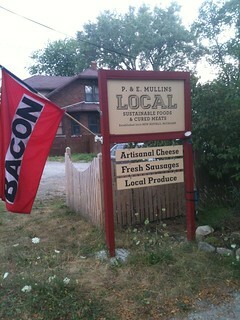 Next stop is into a town that has quite a few old time family run butcher and bake shops offering top notch product. 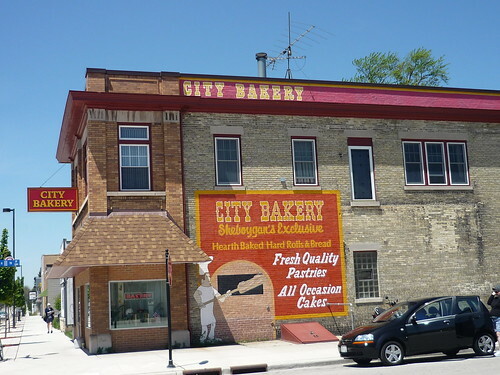 Myself and others including those that led me to City Bakery have shared our thoughts about it in the Sheboygan dedicated thread. 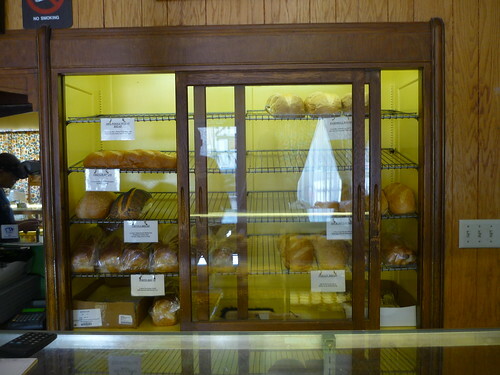 The City Bakery is one of the more well known spots in town. A real deal corner bakery like those from way back when. 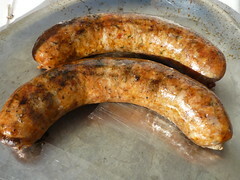 Hard rolls and brat rolls are similar just different in shape. Brat rolls hold sausage and the hard rolls, a local specialty, can also be used for burgers and such but it's main use is for the local favorite brat patties. They're made to withstand a double with all the fixin's plus plenty of butter. The hard rolls are fantastic and as I mentioned I'm a fan of their signature peanut crumble. 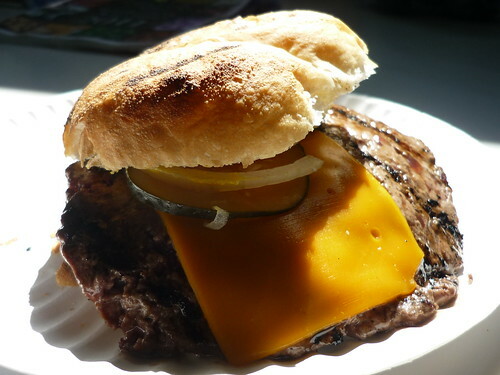 Make it a nice 1-2 punch with a stop at Meisfeld's seen in the OP to get some meats to fill the rolls with. On this tour up the lake thru the Beer and Cheese state we've stopped in and seen a sausage makers place, a butcher shop and a bakery. Time for some cheese! Way up North near the WI/MI border is Marinette. It's here where one of the oldest cheese making families in the state settled in at from Italy. Apologies if you're not "buying" these posts. Haha. 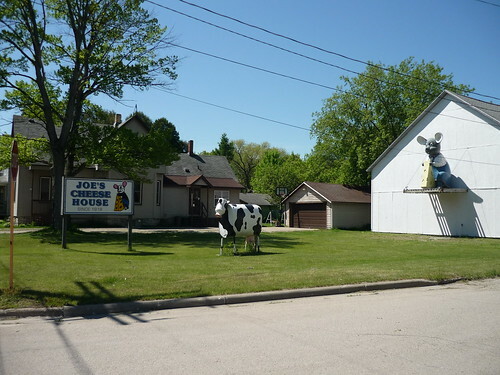 I've met some eccentric people on the food trail and my man Ron pictured below from Joe's Cheese Shop just might be the winner for most interesting/entertaining. These pics and such are actually from a couple years ago but I'm fully confident in saying nothing here has changed. I need to get back. PhilW where ya at? No direct quotes but Ron gave us some real deal Italian hospitality on our visit. What a character. As I remember it he told me that his family was one of, if not some of the first cheesemakers in the state. 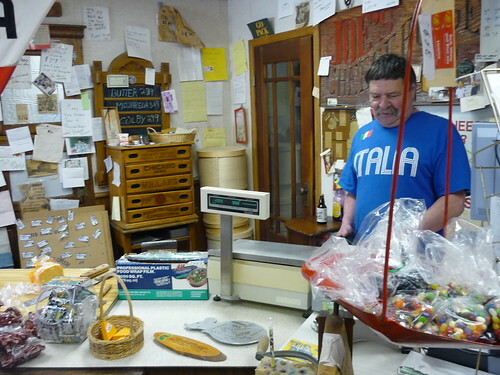 The store itself has been around since 1918 but he said they were making cheese before that. He was passionate and full of pride. I remember a large variety of options most of which they make right there. The same way they did 50+ years ago. 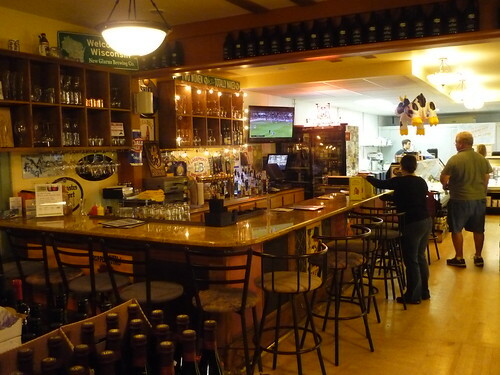 The cheese shop basically doubles as his workplace so it's got some real charm to it. 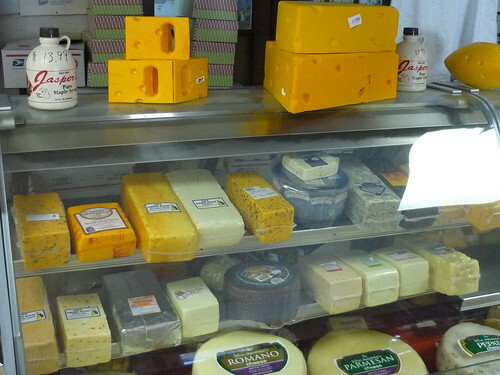 Must try's are their House Cheddar and Colby Jack as well as some of the squeakiest damn curds you'll ever squeeze. Grab a bottle of their fresh parm cheese in a shaker for pizza pie too. Fresh is always better. Also if you're in town, Mickey Lu's is not to be missed. As arent quite a few burger stops up there along the lake. A beautiful place this area is. More to come. Great thread, da beef. Really enjoying it. The last item on the ground beef specialties list caught my eye. I had never heard of mock chicken legs before and had to google the term. Have you tried them? I checked and it looks like Hammond mentioned them a couple of times. dansch wrote: Great thread, da beef. Really enjoying it. 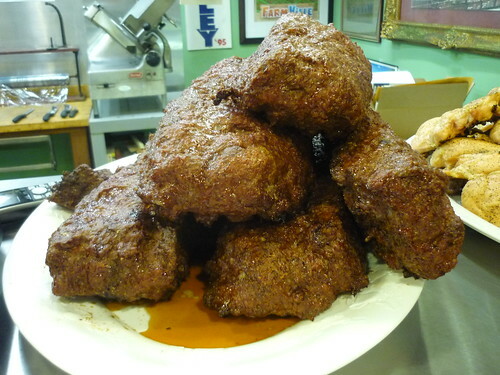 Mock chicken is also known as city chicken and was a product of the Great Depression when cash-strapped housewives fashioned leftover meat scraps into something resembling a drumstick by wrapping them around a stick. You could still find these in supermarkets where I grew up (NW Indiana) in the '50s and maybe into the '60s. I had heard of mock chicken legs made of veal. There was an era when veal was cheap because they were thinning the herd of young bulls. Now with artificial insemination and the ability to select female offspring, there are less bulls and costlier veal. These were never served in my home nor did I try them at anyone else's home. I may buy some the next time I encounter them. We ate mock chicken legs a lot in the 50's. I couldn't tell what they were made of because I was pretty young. The ones we got were breaded and had a nice crisp taste. we had em' growing up in the 1970's, my dad grew up during the 1930's on the south side, and ate marine mess hall meals during WWII so I ate alot of depression era "comfort food" growing up. the mock chicken legs werent bad, i just worried about splinters. 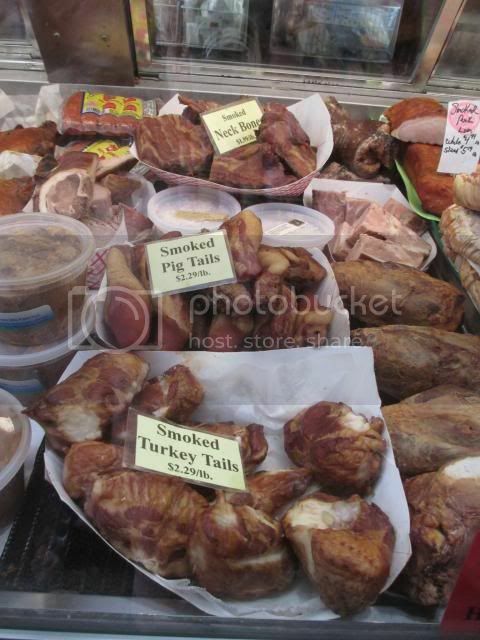 Woodman's stocks mock chicken legs in their meat department. Even in grade school I hated them. 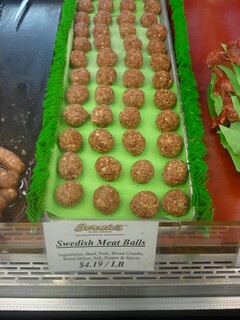 dansch wrote: The last item on the ground beef specialties list caught my eye. I had never heard of mock chicken legs before and had to google the term. Have you tried them? I checked and it looks like Hammond mentioned them a couple of times. Hey Dan, thanks for the reminder. I had meant to ask that same thing from the get go. I assumed it was some weird take on a chicken leg ala mock duck and figured it was added on there more recently for a possible new wave of vegetarians around town. I guess we can add mock chicken legs to the list of weird eats in Wisconsin. 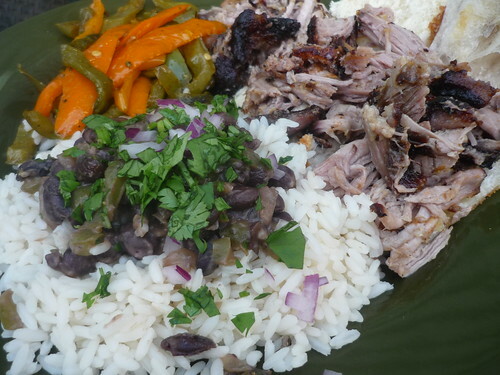 Here's a recipe from the Journal Sentinel. 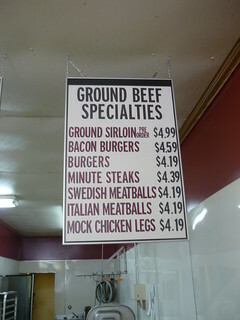 Also Ray's Butcher Shoppe in Milwaukee offers them ground and also in "chunk-style" if anyone is ever in need. I cant say I'll be rushing to try them. 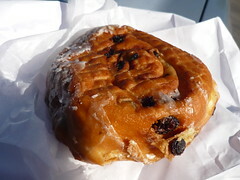 I went to Kiedrowski's for a quick sugar fix after Jolly Roger while in en route to Buffalo for the evening. I had heard of them and decided to check if it was anywhere near and sure enough it was en route so I stopped thru. Approaching their 30th year in business this small polish bakery in a strip mall in a Cleveland suburb is a popular place with the locals. 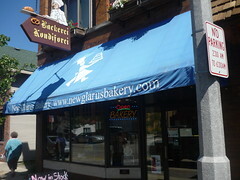 It was named "best Bakery in America" in a poll conducted by Baking Buyer Magazine back in 2011. That might not mean much but I can vouch for the place. 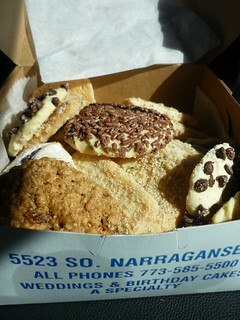 They pack alot of house baked goods on site. Most of which looked like something I would like. 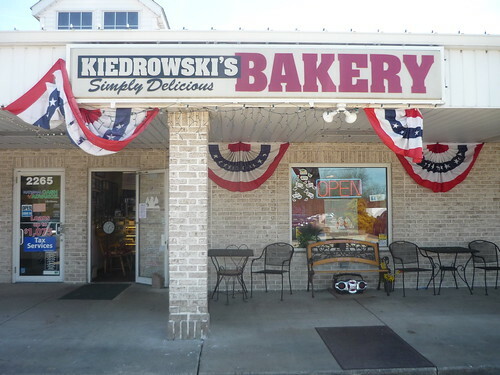 "Accidents can be disastrous in a bakery, but the 'snoogle accident' was a welcome one for Kiedrowski's! Late one evening at the bakery, Tim as preparing ladylocks and Terri was working on a batch of cheese danish. With leftover ingredients, these two happy bakers set out to create something new. A little bit of this, a little of that, and voila, the Snoogle was born! 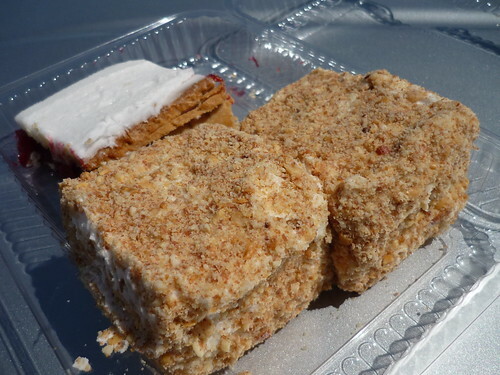 These sweet cream-filled confections have become Kiedrowski's biggest seller. 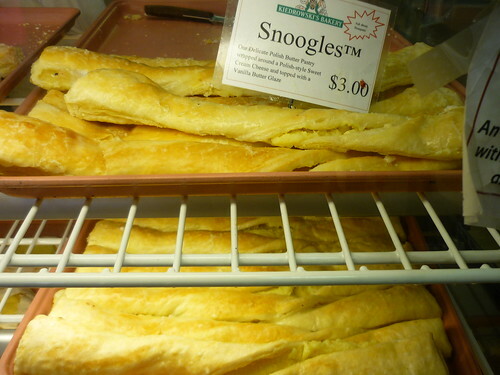 It is not unusual for the bakery to sell 40 dozen Snoogles daily, and upwards of 100 dozen every weekend." 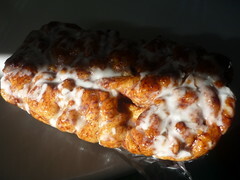 I can see why, I ate the whole thing before we got into Pennsylvania and the Cream Cheese Danish was great for breakfast the next morning. Stop in if passing thru, it's worth the calories consumed. One of my favorites butcher shops in the region. Lange's already has its own deserved thread. 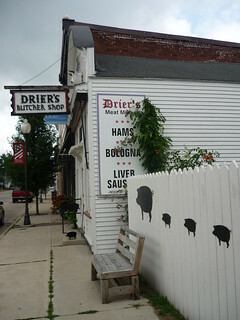 Much like Drier's in nearby Three Oaks, Michigan (where Mr. Lange is from) walking into here is like taking a step back into time. It's an old world atmosphere inside with a super charming character running it. How many of y'all have ever been to a butcher who always has a keg tapped and ready should you want a beer while there? Pete Lange is da man. Part of the reason for starting this thread wasn't just to showcase the goods these places offer but also the people behind it. I've been coming here for a few years as my good friends parents have a place near. Pete knows them and anyone else thats ever been in there more than once during his 21 year tenure. One of the most engaging folks I've ever met on the food trial I'm taking him up on his offer this summer of stopping thru to make some sausage with him. You never know what you'll find at Lange's but everything is made on site and its all great. You'll find all the usual meat shop suspects of cut in house steaks, ground that morning beef and fresh stuffed sausage as well as some unique eats like the Honey Log pictured above. A bite of this and you'll never want to eat meat loaf again. Amazing. 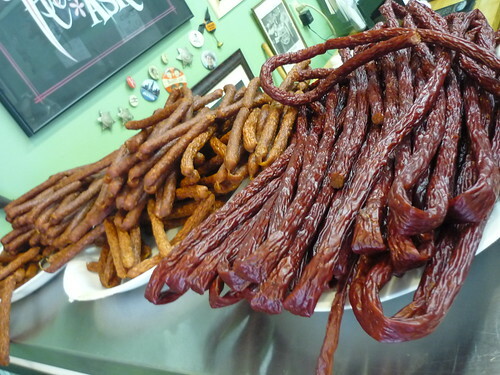 Same goes for all the snacking sausage from the beef sticks to the Landjaeger. He does an amazing cheddar spread that makes Merkt's seem normal as well as a Belgian mustard and fresh horseradish that wake the senses up real quick. His smoked chops are top notch and the beef jerky! Oh my god, best ever. Served warm it's a better piece of beef than most steaks you'll eat. Smoked Chops and the Best Damn Beef Jerky anywhere! Pete started out in law enforcement and then ended up as a superintendent at a plant for a while. During his college tenure he worked a job at a famous Michigan meat market and developed a love for the art. He decided to hell with the 9-5 deja vu lifestyle and opened up Lange's. This ended up not just a great decision for him but all the folks who cant get enough of what he's got. Good god it hits the spot! What are Honey Logs? Can you give us some ideas as to what is in them? Da Beef wrote: How many of y'all have ever been to a butcher who always has a keg tapped and ready should you want a beer while there? 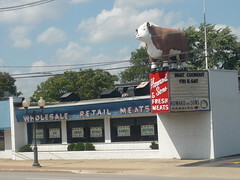 Al's Meat Market in Wilmette. 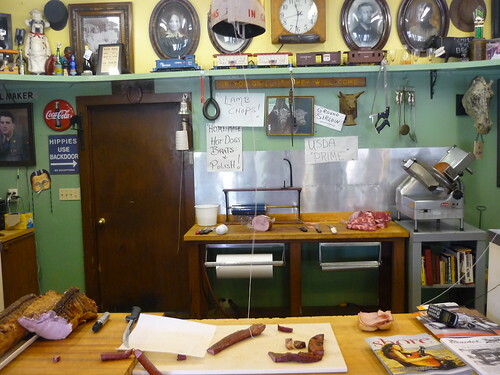 Cool old school butcher with everything done in-house including sausage and dry age beef. 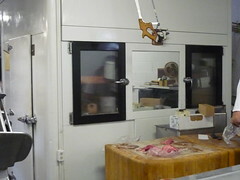 Joe, owner/butcher, spins a good story and, in addition to a keg on tap, keeps a few bottles of rye on hand for regulars. Da Beef, I'm loving this thread, and your other Midwest travels. 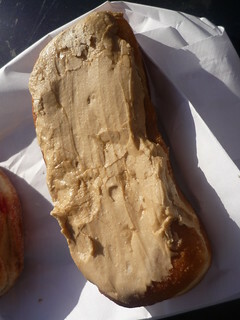 jlawrence01 wrote: What are Honey Logs? Can you give us some ideas as to what is in them? Yeah my bad. They're basically smoked meatloaf's. That's how I'd describe them anyway. 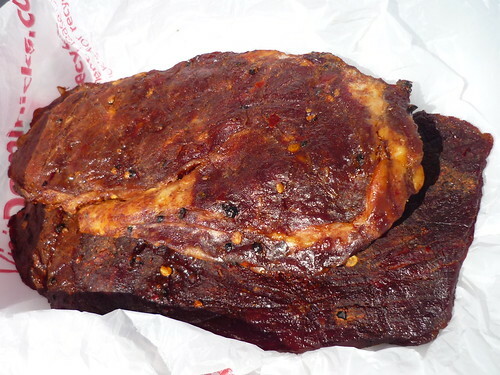 Fresh ground beef is mixed with red wine and garlic amongst other spices and formed into a loaf like object which is then smoked like jerky. I also failed to mention that Lange's turkey jerky is better than most pieces of dried out turkey breast I've ate elsewhere. Great guy, great stop. 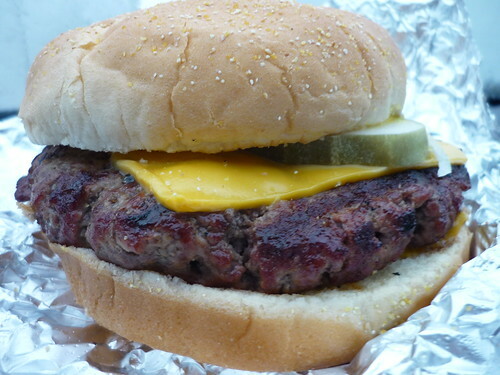 G Wiv wrote: Da Beef, I'm loving this thread, and your other Midwest travels. Thanks Wiv. That's awesome about Al's. The more of them I meet, the more I realize butchers have as much fun as anyone. More to come. 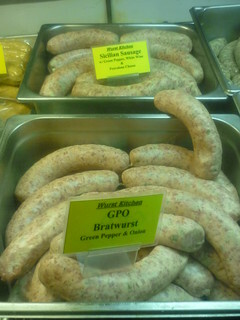 Da Beef -- if you ever are in St. Louis, pop into G&W Bavarian Style Sausage Company. 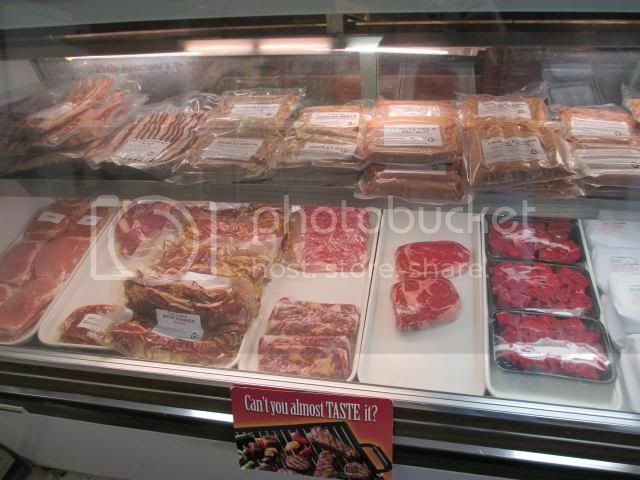 They have beer on the display cases with the meat and will offer you one, gratis, while you shop. Of course, it is Busch, but hey, maybe will take you back to high school or college. And, like Old Style at Wrigley on a warm summer afternoon, the weird alchemy of time and place makes it at least passable. Props to jimswside and those before him tipped us off on the Wurst Kitchen out in the other Second City. They just so happen to be ringing in their 118th?!?! 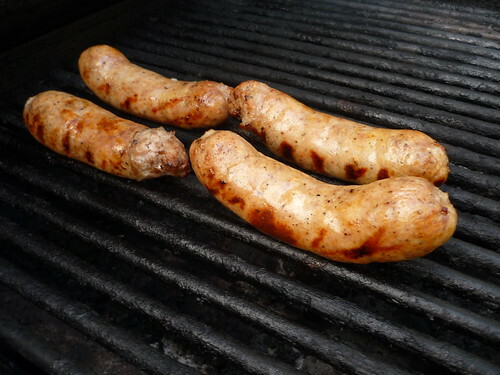 anniversary tomorrow (June 22nd) and are celebrating by offering $1.18 brats (Original and Kicker - Limit 6). 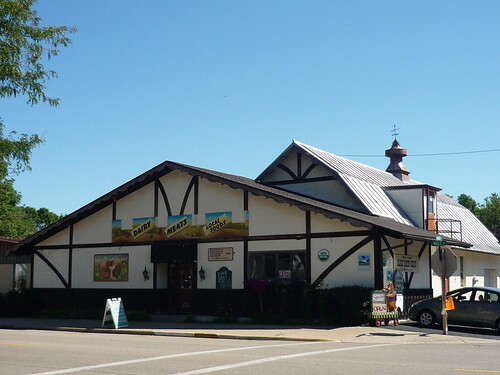 They've been making all natural handmade sausages and smoked meats since they opened up shop back in 1895 when Aurora was predominately German. From their original recipe brats down to the German potato salad they make a great amount of stuff for a small shop on a quiet neighborhood corner. 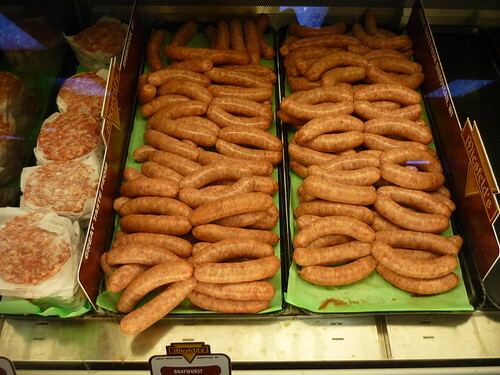 You're options are a wide range of encased meats, not just brats. jimswside swears by the uber garlic brats, others the spicy "Kicker" ones and while those both will be my next taste of the place I think their original are right on par with Ream's. A taste off might be in order but both happen to be sitting in the same elite seats so who cares. 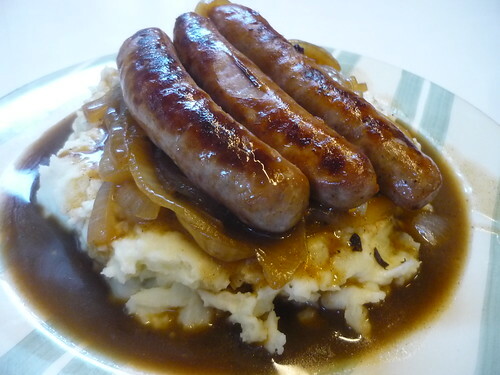 I picked up a couple packs of their just made English Bangers and they were great. I'll stock the freezer with those and plenty of other treats for winter party time. Excellent! Stopped thru here on a trip down the river from St. Louis. We were greeted by wonderful smells upon entry with smiles behind the counter. 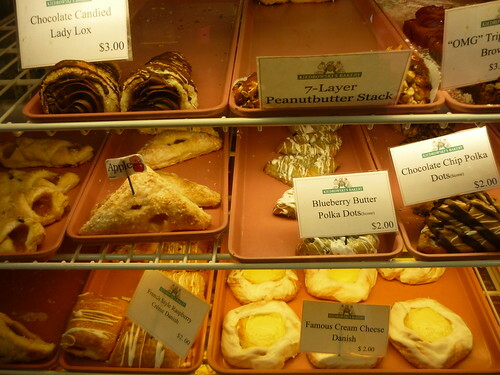 Nice selection of goods including a popular regional treat from around this way called Gooey butter cake. 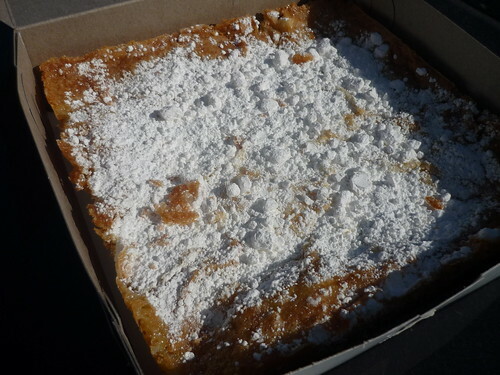 Typically made with flour, butter, sugar, and eggs, it's usually an inch tall and comes loaded with powdered sugar. It's served in squares ala brownies. If you've never had a piece it's an indulging treat to say the least. 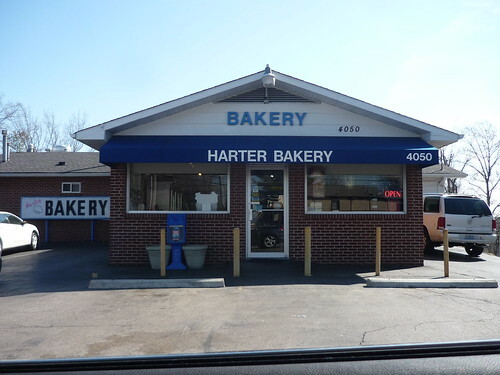 A cake of it at Harter is about the same size as a small pizza and cost less then $5. I've got to say normally I would ask how the hell does someone eat more than a square's worth of the stuff? But being in the Midwest and all...this is how we do. Johnnies gets some love over on a QC thread. Appropriate for here as well. Johnnies is a place I stop every time I am in the QC, gotten kind of hooked on their snack sticks. Full service butcher who does plenty of their own smoking. Since 1952. Done quite a few cook outs with their beef and pork as well as their super kind brats. Today we're off to one of the great spots to shop for meat in all of America. Black Earth Meats first put me on to what I call the "high grade" of cuts. Having gone to college in Madison and loving to explore the area we went here often my last summer in town. 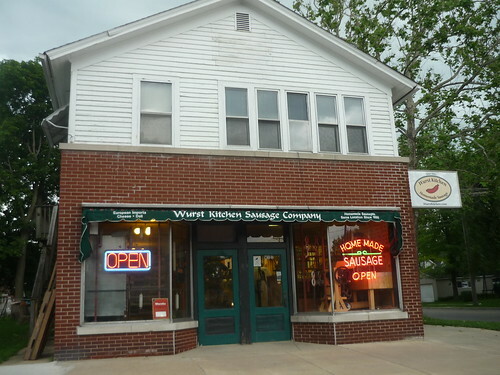 Located in the beautiful rolling hills area of Southwest Wisconsin I could argue I never ate better that summer where there was often meats from Black Earth on our grill grates. "Black Earth Meats is a USDA-inspected processing facility. We have our Organic certification from the Iowa Department of Agriculture, and are Animal Welfare Approved for humane handling of all animals that pass through our gates. 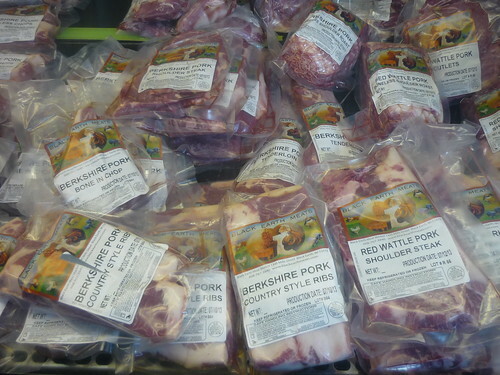 We provide services to a range of customers, from the seasonal customer looking for a half a beef or hog, to those marketing year round. We also have an extensive distribution network in Southern Wisconsin and provide meat to many restaurants, retailers and cafeterias in the area. We support three “levels” of animal agriculture to suit a variety of farmers and customers." If its a cut you've heard of then they probably have it in their display case. Really wonderful folks make sure you know what you're getting. There's three different types of meat offered here. 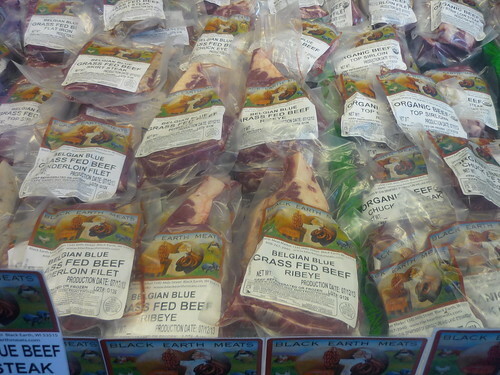 They have 100% organic as well as grassfed and "grandpa's way" which is how people used to do it. "Anyone driving around our area will see small pastures with a few steers, lambs, goats or hogs. These are not farms set up for industrial production, but are small lot farmers raising a few animals for extra money in support of their families.... The type of farming our grandparents knew." After stopping thru a little bit back I've been eating better than any food critic around town. I dropped close to $100 on my visit but felt like I was ripping them off upon leaving. Ground that morning beef along with 2 beautiful Belgian Blue Grass Fed Beef Ribeyes that were easily cut-able with a butter knife. Their skirt steak was the same way and maybe the best piece of beef I've ate all year. 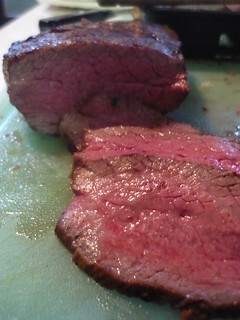 I bought two of Grandpa's Way Tri-Tips and they were inhaled by my guests, I think they were like $11 each which was a steal. 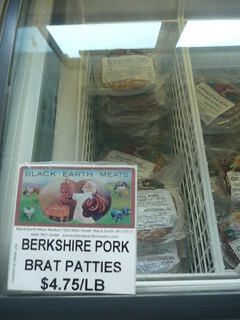 The Berkshire Brat patties will be perfect for the upcoming grilling season and the red wattle pork shoulder roast I purchased made for an amazing plate of lechon asado with cracklins. 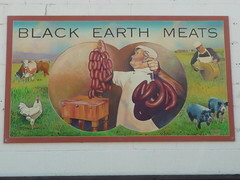 Black Earth Meats. You gotta eat it to feel it.